MACKENZIE, GEORGE, lawyer; b. 1795, probably in Dingwall, Scotland; m. 19 May 1829 Sarah Mackenzie in Ernestown (Bath), Upper Canada, the ceremony being performed by the Reverend John Machar*; they had no children; d. 4 Aug. 1834 in Kingston, Upper Canada. George Mackenzie immigrated to British North America from Scotland before 1823. He settled at Kingston in the mid 1820s after a brief stay in Lower Canada and Ernestown. In 1828 he was called to the bar of the province and immediately went into private practice. Within a couple of years his practice was flourishing and he had staked out a prominent place for himself in Kingston society. Along with other leading figures in the town, Mackenzie decried the monopoly of the Bank of Upper Canada and asserted the need for an independent bank in Kingston. At a public meeting there in January 1830, a committee was formed to draft rules and regulations for a Kingston bank and to petition the government for a charter; Mackenzie was secretary. A bill to charter the Kingston bank was soon after brought before the legislature, but it was defeated by the Legislative Council, most of whose members were directors and stockholders of the Bank of Upper Canada. 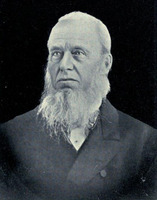 Mackenzie persevered during the next year, speaking at public meetings on the advantages that would accrue to eastern Upper Canada from a Kingston bank, articulating the complaints of the growing non-tory commercial interest group to which he belonged, and galvanizing popular support behind a bank independent of the tory compact’s control. In February 1831 a second bill chartering the proposed bank passed the House of Assembly and was lost in the council, but the growing discontent over the Bank of Upper Canada’s monopoly, combined with the assembly’s refusal to pass a bill authorizing an increase in its stock, caused the supporters of the bank in council to relent. In the fall session of 1831 a bill to charter the Commercial Bank of the Midland District was passed by the assembly and the council. Only the extreme radicals – who objected that the new bank would be fashioned too much in the image of the hated Bank of Upper Canada – and the extreme tories – who warned that the establishment of another bank would impair the credit of the Bank of Upper Canada – voted against it. 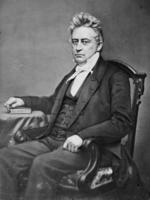 The first president of the new bank was John Solomon Cartwright*; its first solicitor was Mackenzie. Although obviously not a tory, Mackenzie did not sympathize with the reformers. In February 1832 he attended a reform meeting held in Fredericksburgh by assembly representatives Peter Perry* and Marshall Spring Bidwell*. He expressed his opposition to a resolution denouncing the Legislative Council and, chiding the reform members of the assembly, spoke long and effectively on the need for moderate reform without disloyalty to the crown. He then moved support for the government. Mackenzie later claimed that his motion had carried and that the meeting had been dissolved, but others, including the meetings chairman and secretary, disputed his version of events. 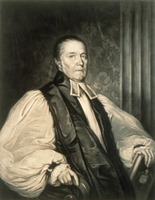 As a lawyer Mackenzie was known to accept liberal causes, perhaps the most controversial of which was his defence of George Gurnett*, the editor of the Courier of Upper Canada (Toronto), who was alleged to have libelled tory John Elmsley* over the latter’s conversion to Roman Catholicism. The case came before the Court of King’s Bench in April 1834. 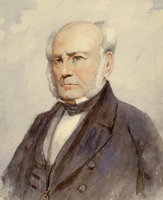 Elmsley was able to retain five of the most renowned lawyers in Upper Canada – Draper, Marshall Spring Bidwell, Robert Baldwin Sullivan*, Allan Napier MacNab*, and Robert Baldwin*. Mackenzie, assisted by three other lawyers, represented the defendant and he alone spoke for the defence. After his four-and-a-half-hour speech, which was lauded throughout the Upper Canadian press as one of the most eloquent defences of freedom of the press ever voiced in the province, the jury returned a verdict for Gurnett. Mackenzie was the real victor, since his firm was now known throughout the province. Mackenzie was a leader of the Scots community in Kingston: he was a member of the temperance society, the Emigration Society of the Midland District, and the bible society; he had been a lay commissioner at the Kingston convention of June 1831 which established the synod of the Presbyterian Church of Canada in connection with the Church of Scotland, and he often served as legal adviser to the church. He was actively associated with various committees important to the administration of town affairs, such as the committee to reform municipal government and another established in 1832 to alleviate the effects of the cholera epidemic. His name was put forward in 1834 as the Frontenac County candidate for election to the legislature, and he was widely supported throughout the campaign that summer as a moderate non-tory candidate. It seemed as though he would be elected, but his political career was cut off by his sudden death of cholera on 4 Aug. 1834. In the early spring of 1830, 15-year-old John A. Macdonald* had been articled to Mackenzie as a student-at-law. For the next three formative years of his life he studied under Mackenzie and for most of that period boarded at the Mackenzie home. He gained his earliest understanding of the law and commerce under Mackenzie; he developed his first clientele and business contacts through him. 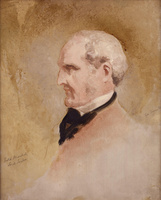 In 1839 Macdonald became solicitor to the Commercial Bank of the Midland District, as Mackenzie had been, and on the verge of the public career denied to Mackenzie, Macdonald would also be a corporate lawyer and businessman, a moderate conservative whose fortunes and interests were tied to Kingston and to the commercial development of Upper Canada. At the time when Macdonald was articled to Mackenzie’s law firm, the increasingly populous, clannish Scots community was infiltrating the positions of tory authority, was beginning to control commerce, and was laying the basis of a liberal-conservative faction whose stress on economic expansion would present an alternative to William Lyon Mackenzie’s hope of establishing a rather traditional agrarian order. It was largely this same social and political group which would coalesce and gain prominence as an emerging capitalist class in the late 1830s and 1840s. Then, it would be largely led politically by Macdonald, Mackenzie’s former student. Frontenac Land Registry Office (Kingston, Ont. ), N21 (will of George Mackenzie). Law Soc. of U.C. (Toronto), Minutes, I. PAC, MG 26, A, 538. QUA, D. M. Gordon papers, general corr. Presbyterian Church of Canada in connection with the Church of Scotland, Minutes of the convention of ministers and lay commissioners, at which the formation of a Canadian synod and presbyteries, in connection with the Church of Scotland, was determined on (n.p., n.d.; copy in QUA, D. M. Gordon papers, box 20). British Whig (Kingston), 12 May 1832; 11 Feb., 1 April, 15 July 1834. Brockville Recorder, and the Eastern, Johnstown, and Bathurst Districts Advertiser (Brockville, [Ont. ]), 18 April 1834. Canadian Correspondent (Toronto), 12 April 1834. Chronicle & Gazette, 1833–34, esp. 12 July 1834; 30 April 1836. Colonial Advocate, 1 March 1832. Free Press (Hallowell [Picton, Ont. ]), 21 April 1834. Kingston Chronicle, 1819–33, esp. 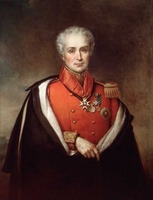 8 Feb. 1822. Kingston Spectator, 17 April 1834. Patriot (Toronto), 11 April 1834. Upper Canada Herald, 6 Feb. 1832. D. [G.] Creighton, John A. Macdonald, the young politician (Toronto, 1952; repr. 1965). [A. M. Machar], Memorials of the life and ministry of the Reverend John Machar, D.D., late minister of St. Andrew’s Church, Kingston (Toronto, 1873), 25, 38, 56. J. P. Macpherson, Life of the Right Hon. Sir John A. Macdonald (2v., Saint John, N.B., 1891), 86. W. R. Teatero, “‘A dead and alive way never does’: the pre-political world of John A. Macdonald” (ma thesis, Queen’s Univ., Kingston, 1978). Adam Shortt, “The history of Canadian currency, banking and exchange . . . ,” Canadian Bankers’ Assoc., Journal (Toronto), 8 (1900–1): 227–43. C. L. Vaughan, “The Bank of Upper Canada in politics, 1817–1840,” OH, 60 (1968): 185–204. William Teatero, “MACKENZIE, GEORGE,” in Dictionary of Canadian Biography, vol. 6, University of Toronto/Université Laval, 2003–, accessed April 20, 2019, http://www.biographi.ca/en/bio/mackenzie_george_6E.html.